Over the past few decades, so many different social media platforms have come and gone. Some have succeeded the test of time and lasted till now but many have faded into the background. Social media could be the best and worst thing that has happened to us. It is good firstly, because it has allowed for so much thought and idea generation and sharing across the globe, not just from the people who matter and have power and a voice, but from any person who holds a smart device. That being said, due to this new phenomenon where everybody can create content on the Internet, it has made way for new kinds of dangers. 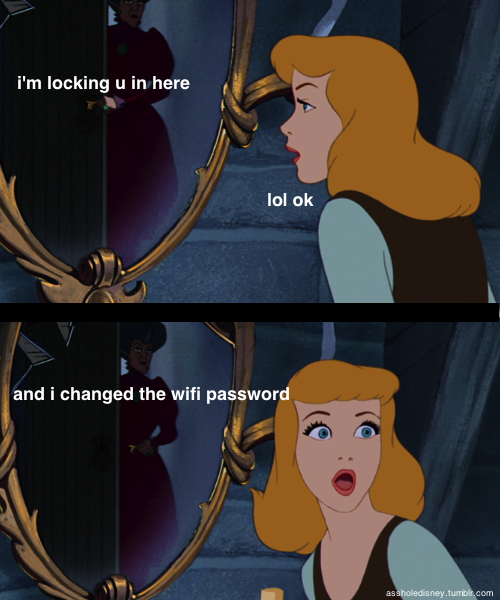 People are no longer safe as everyone can have access to your life if you put it up on the internet. Everything you say online could in turn be used against you. Every move on a social media platform has a rippling effect. Secondly, social media platforms create a whole other world of obsession. Everyone wants to know the dos and donts of social media and how to get noticed online. 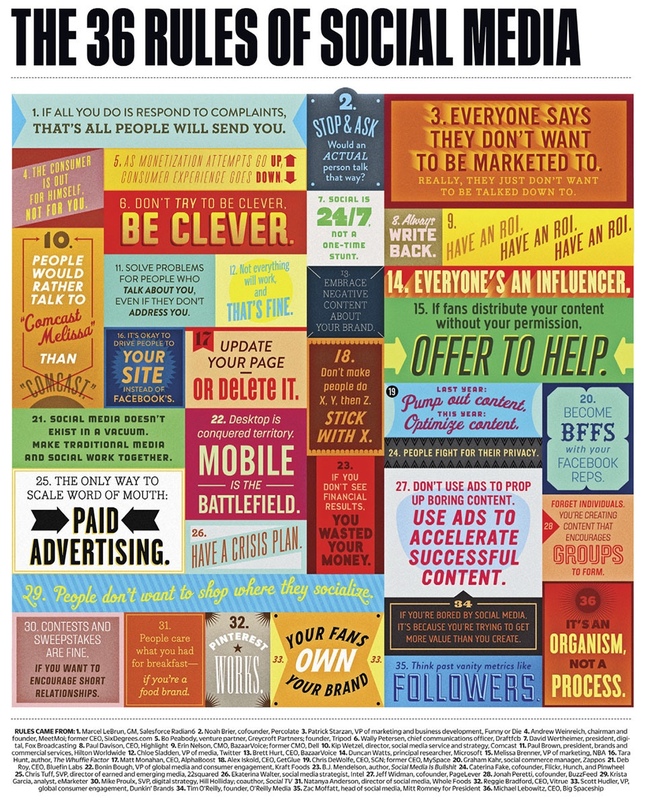 Here are the 36 rules of Social Media, some apply to everyone and some mainly to businesses. Living in Singapore, it would be interesting to find out about social media use in Asia, how much social media has penetrated our lifestyles and what we use the different social media platforms for. Here are some statistics regarding social media use in Asia. The interesting thing I found out about social media use in Asia is that the need and reliance on social media is even stronger for developing countries such as Vietnam and Indonesia who do not readily have a strong network. These countries lack 4G/LTE networks but are still so sucked into the usage of social media that they innovate new ways to allow their community to access these sites. They still use 2G networks, so they implement plans such as “prepaid all-you-can-eat social media packages”, which gives them unlimited access to selected sites. Facebook users are doubling every year in Vietnam and Indonesia prides themselves as the “Twitter capitol of the World”. Another quality of social media which is celebrated in Asia is the use of online payments. Popular social media platform WeChat was used in China to send hong baos (red packets) to each other to celebrate and uphold the Chinese New Year tradition. 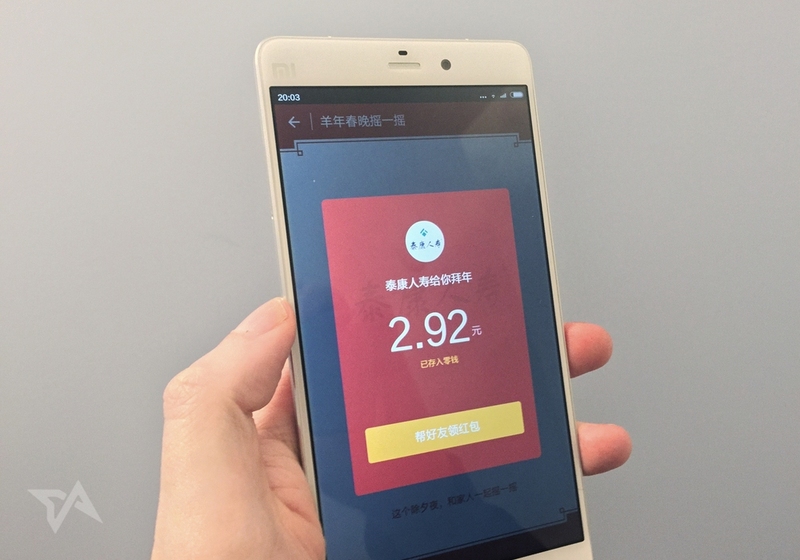 These virtual red envelopes had actual money in them and 1.01 billion red envelops were sent between users of the WeChat app. I think its pretty amazing the way social media is taking over the lives of everyone and enabling people to enjoy themselves and use it to perform the usual day-to-day habits virtually. I guess I’m starting this one month too late, but better late than never right? Hopefully I’ll catch up to the rest of the class soon enough! So for the first week we learnt about the history of the internet, where we are now in the progress of Internet technology and what our future holds. I came across this one day while I was on Tumblr and I found it really apt, hilarious but ironic at the same time. Internet Explorer was the first browser created and was what spearheaded the developments of the world wide web that we know today. Yet as its predecessors progress, it lags behind and they soon outrun it in speed, relevance and user interface. Today, most people stay away from using Internet Explorer but opt for faster and better options such as Google Chrome, Firefox or even Safari. I find it sad that what was initially the most developed and the pride of the Internet has faded into the background and cast off as being slow and unimportant. That being said, apparently the developers of Internet Explorer have declared that they are going to shut it down. 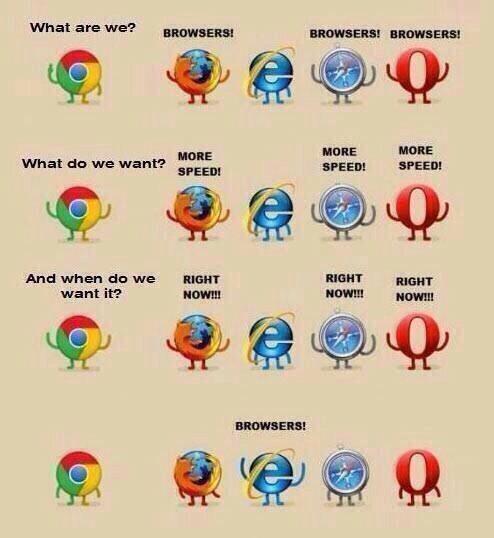 😱 Despite all that has been said about its flaws and drawbacks, at least Internet Explorer still exists now for the younger generations to know the history of the Internet, the first browser. With its shut down, how will the future generations know about the history of the Internet because they’ve never met it. I don’t think its necessary to shut it down, perhaps they can start by tweaking it so that all websites and applications can work equally well on the other browsers as well, and start to release their responsibilities. 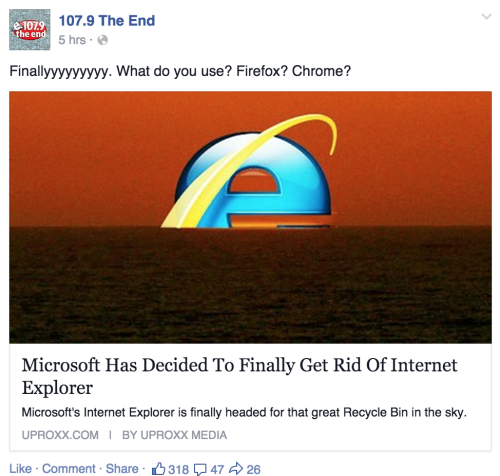 What would be achieved with the closure of Internet Explorer? And instead of admitting defeat, the developers could also find a way to improve the software and bring it back on par with the rest of the browsers. I think the main thing about the internet that has developed over time, is our dependence or maybe over-dependence on the Internet. When it was first created, it was novel, which sparked people’s interests and want to be included. Slowly it has transformed into something so part and parcel of our lives that we now cannot live without it, whether consciously or unconsciously. The way I see it going is that in the future the dependence on the Internet will only get worse and soon we will find ourselves and the whole world, even rural areas, unable to live their day to day lives without the internet. Already now we are unaware that our whatsapp texts are over the internet, our FaceTime calls use the Internet and our Emails use the Internet, and it is so easy to forget because we are so used to having it right at our finger tips without even thinking twice of what makes it possible.